Deciduous shrub. 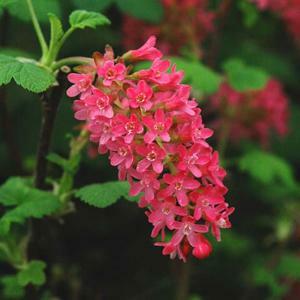 Prolific racemes of rose-red flowers in spring and a long flowering period. The broadly lobed leaves have a pungent aroma.